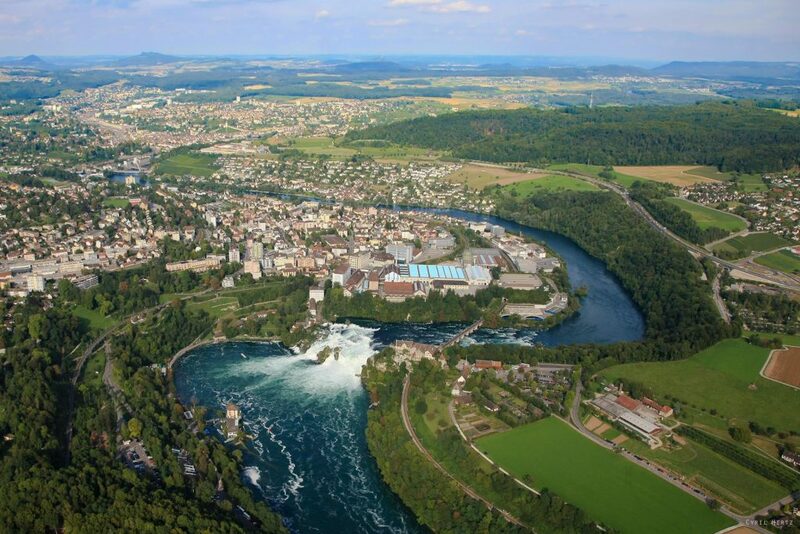 See Europe´s largest waterfall from a unique perspective. After taking off at Heliport-West we are flying over the Zurich airport area before passing by the one-time industrial town of Winterthur. Heading north, we are continuing our journey with a circle around the Rhine island with its former Benedictine monastery Rheinau. 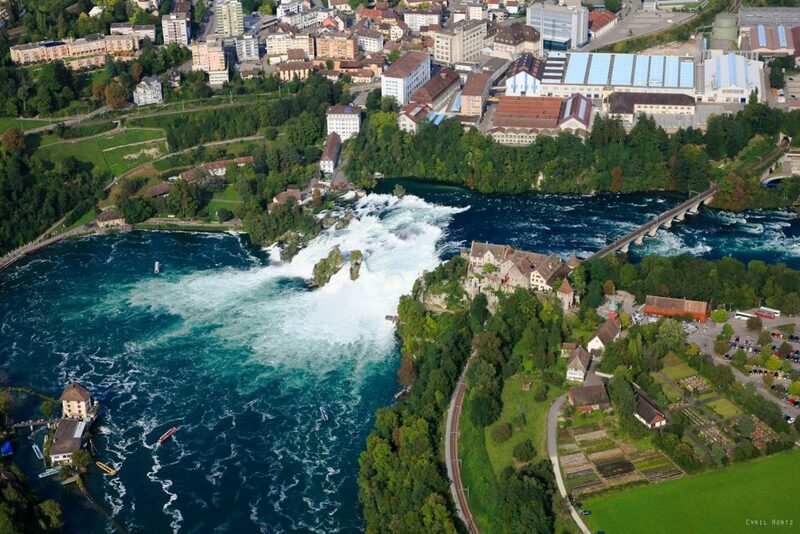 Now onwards to the highlight of this tour, the Rhine Falls. Enjoy a unique view over the 15000 year old spectacle of nature. On peak days more than 600000 litres of water are flowing across the rock formations. 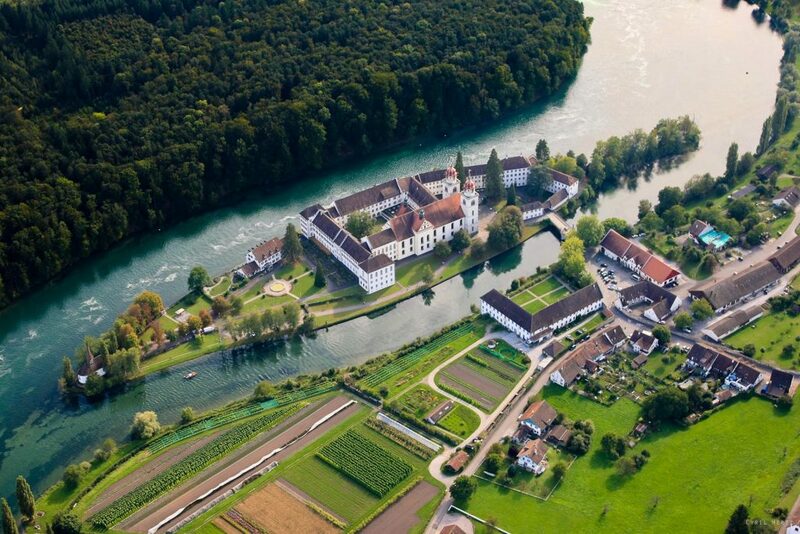 On its northern bank we can see the medieval town of Schaffhausen with the impressive fortress Munot in its centre. 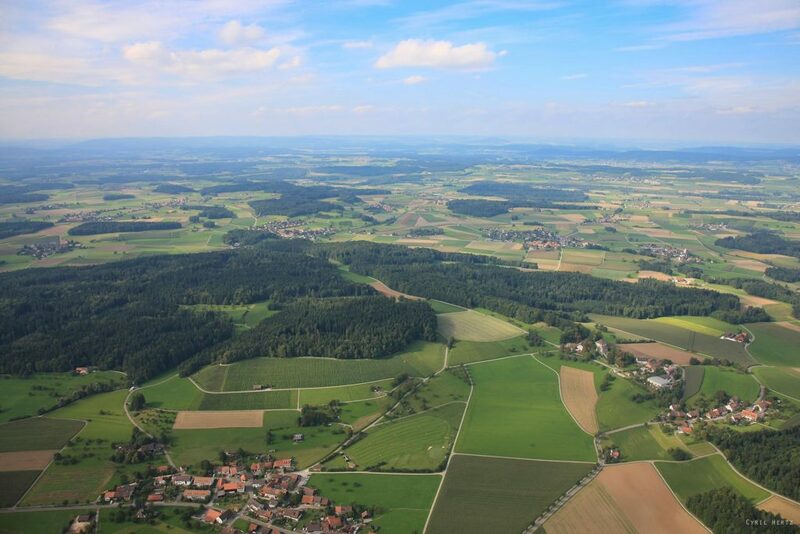 Crossing the river Thur, we return to Zurich airport where this wonderful flight will end.